Jack Jacobs, executive vice president and founding partner of Allie Beth Allman & Associates, is a longtime Dallas business leader who now provides corporate support to wife, Doris, as she lists and sells a wide variety of the finest Dallas residential real estate. Raised in Boston, Massachusetts, Jack attended Southern Methodist University, where he studied accounting and served in the United States Marine Reserves. For 33 years, Jack owned the Melody Shops, a well-renowned music store throughout the Dallas area, which sold records, grand pianos, musical instruments and electronics equipment. 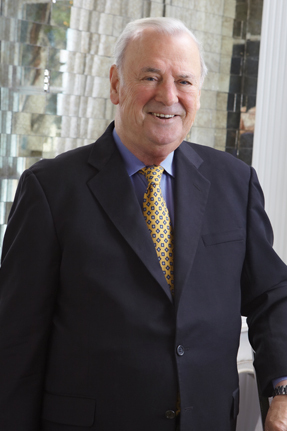 He grew the business from its conception to nine locations throughout Dallas, including being one of the first stores at NorthPark Mall, along with Neiman Marcus and Richard Eiseman Jewels. During this time, Jack became an icon on the local music scene. In 1992, Jack joined his wife Doris, who had by then carved a niche in the top tier of residential real estate agents and was needing professional business backup. In 2003, Jack and Doris partnered with Allie Beth Allman to form one of the city’s most productive fine property firms, which now employs over 300 active agents and professional support staff. With Jack’s accounting education and retail experience, he provides astute and seasoned services including finance, marketing, property research and sales. Often Doris and Jack work in tandem in prospecting and listing homes in the Park Cities, including Highland Park and University Park, and Preston Hollow. Additional areas in which Jack specializes include Turtle Creek, Uptown, the Dallas Arts District, Devonshire, Bluffview, Greenway Parks, Lakewood and North Dallas. Currently residing in Highland Park, Jack and Doris are 30-year members of the Highland Park Presbyterian Church, where Jack was Captain of the ushers for 25 years, and supporters of the Highland Park Independent School District.